Forested property can prove to be a strong investment opportunity over time. Even with timber prices low, timber production is a long term investment that can stand fluctuations in the market. As with any long term investment, it is important to maximize the returns on that investment. When it comes to growing trees, that translates to faster growth and higher timber volumes at harvest. 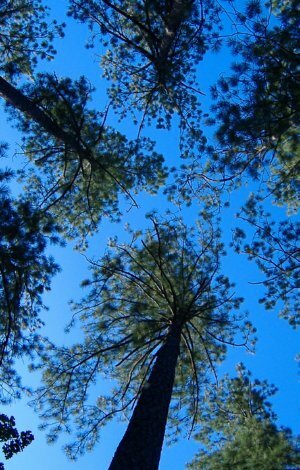 One major limiting factor affecting growth in pine plantations in the southeast is hardwood competition. Hardwoods in the mid and understory in pine stands are constantly competing for spatially limited resources like sunlight, water, and nutrients. For every unit of hardwood competition in your stand, there is a loss of production in your crop trees. 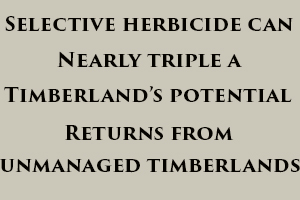 No farmer would try to grow soybeans without taking full advantage of the weed control available from selective herbicides. In the same way, undesirable hardwoods in the mid and understory are the weeds of pine plantations. When these weeds are controlled, it means faster pine growth and higher volume at harvest, which in turn means a greater return on your investment.